The NSP1 can be used to output SMDR data over an IP network. The TCP can be xx003 (default value is 59003). For more information about PBX settings, see NSP Installation Made Simple (ESI # 0450-0669). Our software should work in the TCP client mode. It means that our software will initiate connection with the PBX and the PBX will work as a server. Add one or several PBX IP addresses here (the IP address of the ESI). The port number should match the port that you have defined within the PBX (59003 in the example below). Use an RS-232C cable to connect a PC's serial port to the system's Maintenance/SMDR port. If necessary, consult the Hardware Installation Manual. SMDR data will be stored temporarily if a laptop is connected for programming (5-15 minutes). The buffered SMDR data will resume output to the serial port. 1. Press PROG/HELP at any station. The normal station programming menu prompts will begin to play. 2. Press HOLD. The "enter password" prompt will play. 4. The system will play the system programming menu. Follow it to program as you wish. 5. When finished, hang up. Real-time SMDR call records are continuously output to the SMDR port. 1. 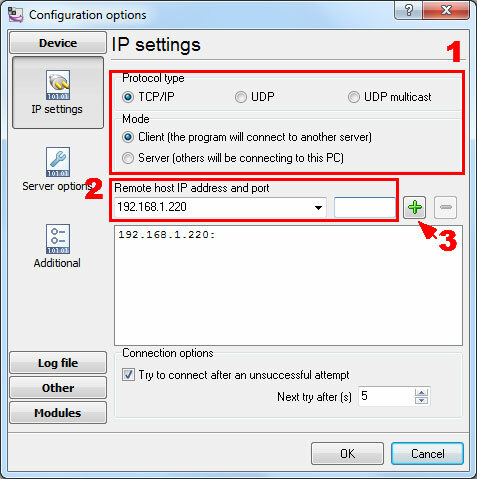 Select the output device by pressing the scroll keys (SERIAL or ETHERNET (if connecting to a LAN through an NSP board)). 2. The system will then prompt you for the serial port baud rate. You can change this rate by pressing the scroll keys. 3. Select the SMDR format, STANDARD, EXTENDED, or CSV, by pressing the scroll keys.